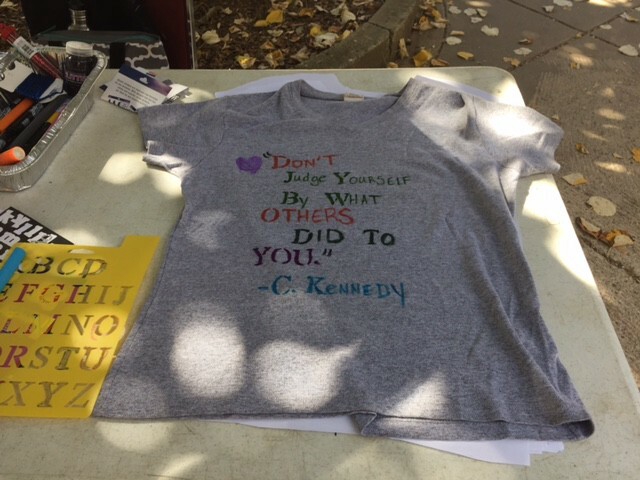 This shirt was designed at Helpmate’s “Clothesline” event at Warren Wilson College. The Clothesline project is a yearly event that empowers people to speak up about their domestic violence histories by creating t-shirts that tell their individual stories. At Blue Ridge Hemp, we are always exploring new ways to pursue our mission of empowering others. Recently, we have taken a new step in fulfilling this mission by committing to monthly flash sales and donating a portion of the sale’s revenue to a nonprofit organization. We began this new tradition last month on Mother’s Day when we donated 5% of the sale’s revenue to Helpmate, a local domestic violence agency. This month, we also donated 5% of revenue from our Father’s Day flash sale to Helpmate and are giving donations for today’s CBD yoga class to Helpmate, as well. We are so grateful to each and every one of you who bought our products during these flash sales and contributed to Helpmate’s important work in the Asheville community! We interviewed Helpmate’s Executive Director, April Burgess Johnson, and Development Associate, Pam King, to learn more about their program and services. We are honored to share more information with you about the incredible non-profit organization you helped us support! 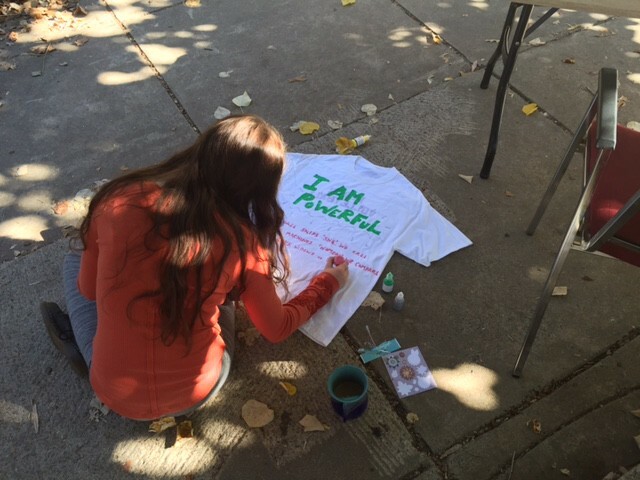 A student designs her shirt for Helpmate’s Clothesline project. Helpmate is a domestic violence agency that supports people experiencing intimate partner violence through a variety of free and confidential services. The program shelters just over 220 people each year, and serves about 2500 people in total through their varied services: the 24-hour emergency shelter and hotline programs, individual and group counseling services, and legal supportto survivors going through civil or criminal court to take out domestic violence protective orders, serve as a state witness for a crime committed against them, and more. They support survivors with practical needs like finding diapers for their babies or getting refurbished cars through another local establishment, Working Wheels. Helpmate also offers preventative education to the local community through public speaking and trainings on healthy relationships, safe conflict resolution, and recognizing domestic violence. Through these varying programs, Helpmate guides survivors in finding safety, strength, and healing. How did the organization develop? Helpmate was borne from a group of community members who were concerned about the prevalence of domestic violence in and around Asheville. In 1978 and 1979, these community members — attorneys, school teachers, community activists, and others — met together in an old school building to determine how to better serve abuse survivors in the county. A volunteer offers support from Helpmate’s emergency hotline. They began with an emergency hotline, which is still an important aspect of Helpmate’s current services. In those early days, the hotline was run entirely by volunteers on landlines and supported by some local donations, but had no consistent funding. After recognizing the hotline’s value in the community, Buncombe County invested $15,000 in Helpmate and allowed the organization to become incorporated in 1981. Its growth continued and Helpmate was soon able to open its first emergency shelter: two small, one-bedroom apartments that could house one family in each. This was a groundbreaking step for the organization, but excitement soon turned to concern when Bellsouth, a local cell phone store, published the shelter’s location in the phone book. This meant that families in the shelter no longer had the protection of an undisclosed location in which to take refuge. This was particularly dangerous at the time because there were far fewer laws in place to protect domestic violence survivors, and the likelihood of harm in the shelter was, consequently, very high. “The [Helpmate] board went to Bellsouth and said, ‘you put all of these people in danger,’ so Bellsouth bought the second multi-family shelter for Helpmate.” Later, Helpmate purchased a former convent where the emergency shelter is now located. To read the stories of survivors who are fighting domestic violence, check out Buncombe County’s “Still Standing” project. In Asheville, these stories are shared with the community via wall silhouettes, as the one pictured above, placed throughout various public spaces. The staff and volunteers at Helpmate are always moved by survivors’ journeys of resilience. Many of these survivors use their strength and healing to support others who are escaping, healing from, or amidst abuse. To read some personal stories of domestic violence survivors, check out Buncombe County’s “Still Standing” project. In Asheville, these stories are shared with the community in the form of wall silhouettes, showcased throughout various public spaces (see adjacent photo). How do donations and volunteers support Helpmate? Donations support every aspect of the organization’s programming, from office pens and envelopes to paying Helpmate’s case workers and counselors. Helpmate is assisted by about 75 volunteers per year, who together provide over $80,000 worth of support. 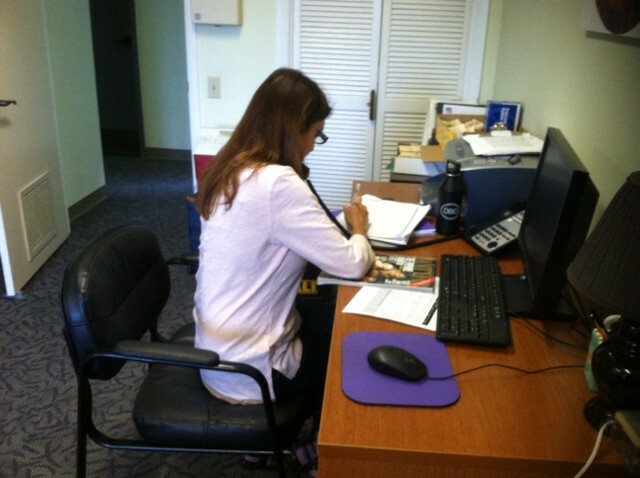 April is grateful for the local community’s investment in Helpmate’s programs. “Volunteers are another way that [the Buncombe County] community shows how much it cares.” They service everything from the emergency hotline, to mowing the shelter’s lawn, providing childcare while survivors are going to court, driving people to medical appointments, and more. 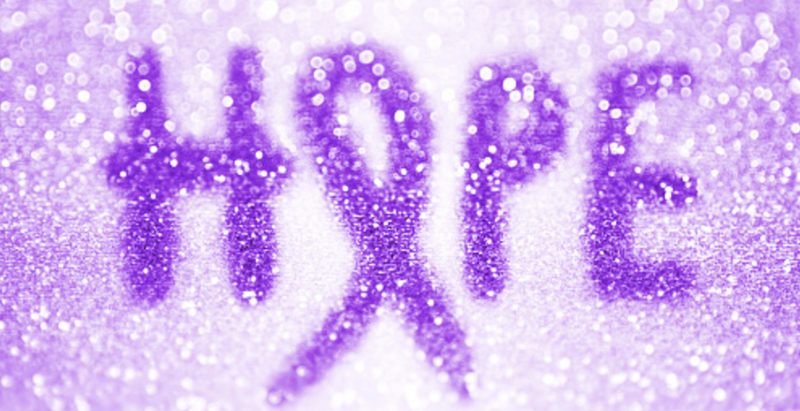 Domestic violence awareness is represented by a purple ribbon. How can people outside of Asheville support Helpmate and/or victims of domestic violence in their local communities? You can donate money to Helpmate by visiting their website. Identify similar programs and services that are local to you. Donate to and/or volunteer for them, and spread word about them in your community. Share the national Domestic Abuse Hotline number: 1−800−799−7233. Educate yourself and others about abuse so that you can identify it in your community and help prevent it. The Helpmate website has good resources and checklists to help you understand domestic abuse. If you know someone who is being abused, encourage them to get help from specific resources (like Helpmate, similar programs, and abuse hotlines) and offer them compassion. Understand that it is difficult to leave an abusive relationship — most survivors will seek help several times before truly leaving an abusive relationship. There are many ways to fight and prevent domestic violence, and support victims of domestic violence in all communities. The Blue Ridge Hemp team is so grateful that you chose to purchase our products and help support an organization that is saving so many lives. For more information about domestic violence, intimate partner violence, and Helpmate’s services, visit http://helpmateonline.org/.